A lot has happened since then with new cables, new designs and some fantastic output such as the Andromeda and the Vega so I guess I am not terribly surprised that they revisited the original Lyra and brought it up to speed in 2016 (now 2017) to include a lot of new technology and what was learned over the last 18 months. To make it even cooler the new Lyra II is launched at $699 which is $50 cheaper than the launch price of the original Lyra. The Lyra II has been launched alongside the Vega and the Dorado as the next generation of Campfire Audio IEM designs and with the Vega, we now have two single dynamic driver IEM’s in the Campfire Audio range with the Lyra II being the cheaper of the two at $699. It also means the Lyra MK1 has been discontinued to make way for the revised version. With only the Dorado bucking the trend as a hybrid the product range is now cleanly split between the DD camp (Lyra II and Vega) and the BA camp (Andromeda, Orion, and Nova). Also, the Lyra II launch brings the Lyra “brand” up to speed with the new designs and features of the 2nd Gen launch including: an all new carry case, the little red protector pouches, a similar branded retail box, the Litz cable, and that yummy PVD finish on the new liquid metal alloy housing you can find on the Vega and Dorado. The product line now looks very harmonized and mature indeed. It is not just a cosmetic turnover either, the Lyra II has been pitched as having some tonal improvements on the previous edition. Campfire Audio believe that the mix of the Beryllium driver and the new liquid metal alloy housing will provide a different, more natural sound, than the previous high-density ceramic, Zirconium Oxide Ceramic (ZrO2) housing of the Lyra Mk1. Add to that the SPC Litz cable that first showed itself during the Andromeda launch and we should be talking a fairly different and vivid listening experience over the first edition. Less distortion, extended high frequency and a natural tonality. A natural and dynamic sound–exceptional high-frequency extension, silky smooth mids, and deep, powerful bass response. The words that leap out at me are right at the end with the phrase “deep, powerful bass response”. In our previous review of the Lyra MK1, we felt the bass response was full sounding yet polite and lacking in a little impact or bite so I am keen to see how this has changed on the new Lyra II. Much like the Vega (and the Dorado) the Lyra II housing is now made of a liquid metal alloy that is very robust and well finished. Campfire Audio didn’t have to tinker too much with the Lyra MK1 formula when it comes to form factor since the original design is now being used as the blueprint for the new roll out of the other IEMs. The key difference this time is the superior finish over the older ceramic materials and the new PVD coating on the shell. I have to admit the Lyra housing shape is more comfortable over the previous “edge” cutting on the Andromeda, Orion, and Nova. PVD is also a more durable finish when it comes to the odd knocks and bumps than the older ceramic design so it is unlikely you will see much in the way of chips and paint scraping off in regular use. Interrupting the otherwise monotone “dusk” colored shell is the small circular black bass port which is in the same place as the original Lyra MK1 just below the base of the stem. The front of the Lyra, much like the Vega is finished with a very clean engraved CA logo on the base of the plate and terminated at the top with CA’s custom Beryllium Copper MMCX connectors. Having used these connectors quite extensively with the original Tinsel and the newer Litz cable I can testify these are pretty durable connectors and over the last year, I have not noticed any degradation or loss of signal or loosening of the connection strength. These mating pins are built to last and much superior to typical softer brass connectors. 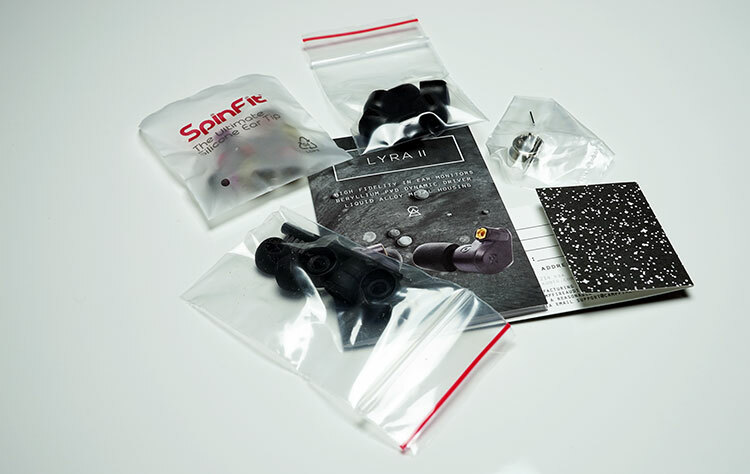 Speaking of beryllium, Campfire Audio have stuck with the original driver from the Lyra MK1 which is a custom 8.5mm beryllium PVD transducer coupled with neodymium magnets pushing the voice coils at the heart of the driver. It is a unique setup and only the Vega’s diamond driver outdoes it in the exotic stakes. The Lyra II now comes with the 1.35m SPC Litz cable as standard which is superior to the older Tinsel cable that was bundled with the original Lyra. The SPC Litz is terminated with the same 3.5mm right angle clear plastic jack and finished with a very classy matching y-split silver metal tube and clear plastic chin strap. I can’t overstate enough how much better this cable is, both in terms of audible improvements in the bass response as well as its easy manipulation, over the ear memory hook comfort and low microphonics. 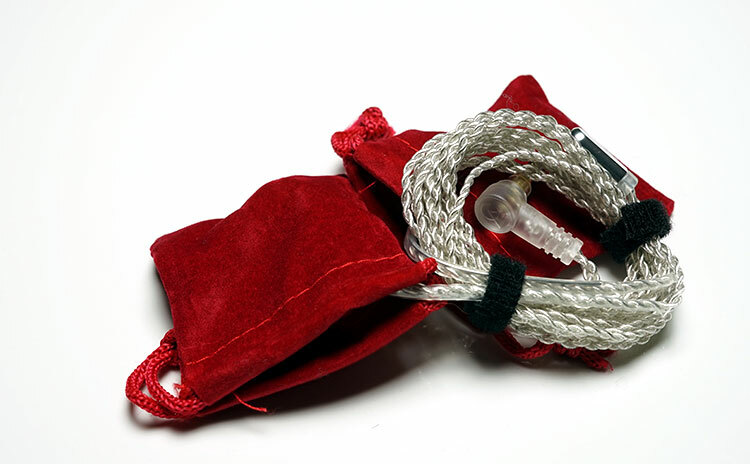 It is an excellent cable bested only by the Reference 8 they sell for their IEM range as an optional extra. Since the form factor is unchanged with the Lyra II, those migrating from the Lyra Mk1 will find similar levels of comfort and seal with its slightly angular nozzle for a relatively easy canal insertion. Tips selection with the Lyra II is consistent with the tip selection from the Vega and Dorado with some excellent choices including foams, silicone single bore, and SpinFits. You will get some audible changes with the various tips so as an FYI this review was done primarily with the foam tips which was my own personal preference. The seal is very good indeed and enhanced somewhat with the use of foam tips. They fit right in first time with the medium foam tips, offer an excellent seal, great comfort, and zero accidental movements either in open or closed jaw stance. If you have tried the Vega and Dorado, you will get no surprises with the Lyra II as they all follow the same form and function and I judge them marginally more comfortable to use than the BA line up with its larger angular cut and heavy shell. Once again, the theme is one of harmonization and if you have been keeping up to date with the previous Vega review you will be very familiar with the accessory line up for the Lyra II because it’s the exact same in terms of accessories and packaging. The box is unchanged in color from the Vega, being red and black with only the Lyra decal for distinguishing the difference. 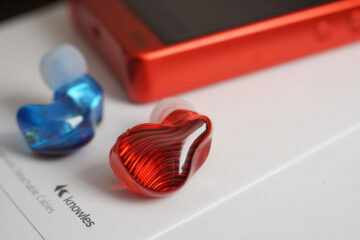 Personally, I would have gone with a different color much like how the earlier first gen IEMs (the BA’s) came with differing colored boxes just to make them a bit more unique in the line-up. The leather case is also the same black grungy type zipper and fur lined carry case as the Vega. 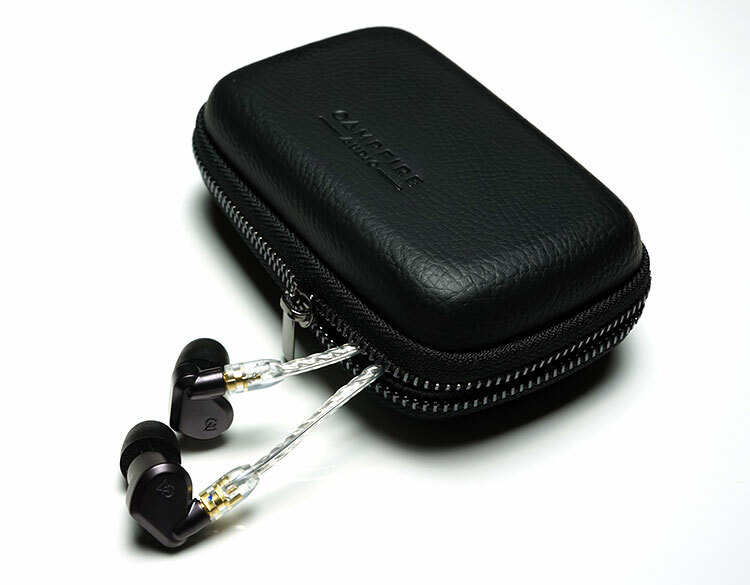 It is the same excellent quality as always and great at protecting your IEM with enough room for a spare cable or set of tips. I have spent time with the black one from the Vega and it does a really good job of hiding dirt and scrapes and is a big step up on the original Lyra MK1 case which had a very synthetic leather look compared to the rest of the line-up newer more worn look cases. Much like the packaging though I would have liked to have seen a different color used for the Lyra case. If like me, you have to have all 3, (Lyra II, Dorado, Vega), it can be a bit of a challenge picking out which from which judged on the cases. 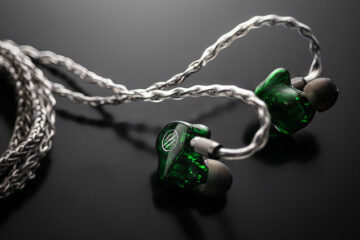 Also, in terms of the marketing pitch, a $699 IEM should have a different look and feel to one that is double the price. On the positive spin though you are getting accessories from a $1299 IEM with a $699 IEM so you could also argue that it is very good value. Just depends on your outlook if you are a half empty or half full type of person. The Lyra II is primarily a musical dynamic driver presentation for me but unlike the Vega’s diamond DD it’s a bit easier going than the more strident physicality of its bigger sibling’s powerful performance. The Lyra II also has a subtle but very important tonal tweak from the original Lyra I that, for me, dramatically increases the musicality and smoothness of the Lyra II and that is the bass quality and emphasis. It’s a little warmer, offers better body and switches the Lyra II’s energy from the MK1’s primarily mid-to-lower treble bias to more of a low to midrange presentation. Its basic tonal presentation is now more u-shaped warm to neutral frequency response with an elevated sub-bass to around 100Hz mid-bass performance. This tails off to around 1k before making way for a nicely elevated midrange and vocal presence from around 1-3k and then a slow but steady climb in energy from around 5k to around 7-8k then it drops away post 10k. Out of that you are going to hear a meatier low end performance and a slightly warmer sounding dynamic driver response over the original Lyra with decent space for vocals to stand out and shine as well as a treble response that, much like the original, has good energy and a nice sparkle to it without being overcooked. The Lyra II bass presence is sub to mid-bass centric with wonderfully languid but very natural warm sheen that only good quality dynamic drives can deliver. It is a substantial improvement on the lighter politer Lyra MK1 bass response which doesn’t have the same quality of extension. There is no mid-bass emphasis here rather it is a heightened sub-bass elevation running around 10dB lower than the Vega and gently subsiding into a relatively linear fashion right into the Lyra’s midrange. It is that relative boosting right at the low end that gives the perceptibly warm character. Sub-bass rumble is excellent actually. Modern R’n’B and dubstep genres really allow the Lyra II’s smooth but weighted extension to perform at it’s best. Check out Major Lazer’s “Blaze up the fire” and “Lean on” or Beyonce’s “6 Inch” for the difference in audible sub-bass quality and how well Campfire Audio have tweaked the original Lyra’s bass response. It is not BA tight, I do not think that was the objective with the Lyra II and as such, I can’t classify it as terribly accurate but if you are after a rich and smooth rumble with decent pace then this is it. The Lyra II’s lower midrange is slightly dipped by 2-3dB below it’s vocal and upper midrange tuning. Instruments though remaining clean and clear simply don’t overwhelm and instead are positioned to offer a better sense of space for vocals to shine and take focus on the Lyra II. It is not overly excessive but Campfire has given just enough to resonate over the rest of the mids without pulling in the entire soundstage and closing down space. The timbre on the mids of the Lyra II is distinctly rich, thick noted and easy paced. Again, like the Vega, it is not the most accurate of timbre but it is highly soothing and fairly forgiving. Much like the Vega the odd time I picked up a little bit of vocal sibilance but it felt very random and more akin to track recordings or source selection than any inherent driver quality. Detail and resolution on the Lyra II is a step down from the Vega but on par with the original Lyra MK1. The original Lyra also has this slight turn of pace or energy that picked up significantly the higher up the range you went. I do not get that seem feeling with the Lyra II which feels a bit more balanced and coherent sounding in its mids performance. Treble on the Lyra II starts climbing around 4k and peaks around 8k before slipping down before 10k (slightly peak at around 12k). It’s a smooth elevation, though, no quick peaks and drops so it is not sharp or splashy sounding and won’t come across as overly strident or aggressive sounding. That heavier hitting low end and thicker richer mid-performance might detract from an otherwise competent and articulate presence region. It perhaps lacks a little bit of brilliance region sparkle to give class-leading headroom in the same vein as the Andromeda and perhaps even the Vega but it is definitely not shelved down or attenuated. More of a relaxed but clean treble performance. How about the iBasso IT04? Looking for something with some separation of instrumentation, but not so much I feel like I am listening to discrete instruments and not a quartet or band. I do like bass to be solid, but not booming. From memory I thought the UM Martian was pretty good and fits in the budget, its a dual BA and double DD design. Also check out the Earsonics ES-3 triple driver at around $500. If you want something a bit more neutral but still natural sounding then the Noble Savanna is a good choice. None of these are MMCX by the way. For MMCX and good value the hybrid quad-driver FiiO FH5 is actually very good indeed. Our review is out shortly, well worth the $269 and MMCX also. Is there a headphone that you would recommend in the $400-$700 range with multi BA design? Yes, the A6 is too pricey for me. I also was looking at earphones with mmcx cables so I could potentially use a bluetooth adapter, but the loss in quality is not always worth it. Well they scale a little with better power but not a huge amount. The detail is more to do with suspect with it being a dynamic driver as opposed to BA. Usually I tend to find dynamic drivers not to be as micro detailed and more for nice tone whereas multi BA designs such as the ones you refer to in 64 Audio range are all about detail. I have not heard the A2 or 3 but the A6 was nice with a good cable though your paying for a lot more there. I just received the Lyra 2 from massdrop. Couldn’t resist that price. The tonality is really really nice, but my issue with them is the lack of resolution. Seems as if the separation is nice but its just not clear. Will this improve while I break them in? My friend suggested 64 Audio products, either the A2e or the A3e. Thoughts on these 2 IEMs? I am looking to replace my Audeo Phonak PF232. They had a very unique sound that has been hard to find in other earphones. I recently tried the Campfire Polaris and Lyra II. I was surprised by how much I liked both. RE: Lyra II, I thought the clarity, separation, and size was nicer than the Polaris. But is the Lyra II worth the $100 difference (especially over time)? The Lyra II is one of those that tends to pop up on Massdrop from time to time at $499 or $599 so keep and eye out for that. Oh wow. Thanks for looking out. My only issue is that my Audeos don’t work anymore (crappy cable and I can’t replace it) so I am without a pair of earphones at the moment. Not sure I want to be earphone-less for something that may not happen. I am getting a 10% discount for either CA model from a local store but thats not huge. Have you tried both polaris and lyra II? Anything similar to these that I should look at? We actually wrote a review for each if you click the search button at the top right you can find them here. Lyra II $499 as promised. Very different. The Flares Pro are much more neutral with a cleaner note and the Lyra II is warmer with a bit more note body and a bass to mids bias. The Flares Pro has greater top end extension. would these be good for proggresive-rock and rock genre in general(pink floyd ,lynrd skynrd, led zepplin, dire straits, rolling stones and so on)? This would be exactly the type of music that I would use on the Lyra. Though Skynyrd and Zepp or more classic rock for me which suits the Lyra II. Floyd less so, I mean if you want that really nuanced detail that Floyd tends to do like running water I would get the Andromeda. Would you recommend this over Jupiter?